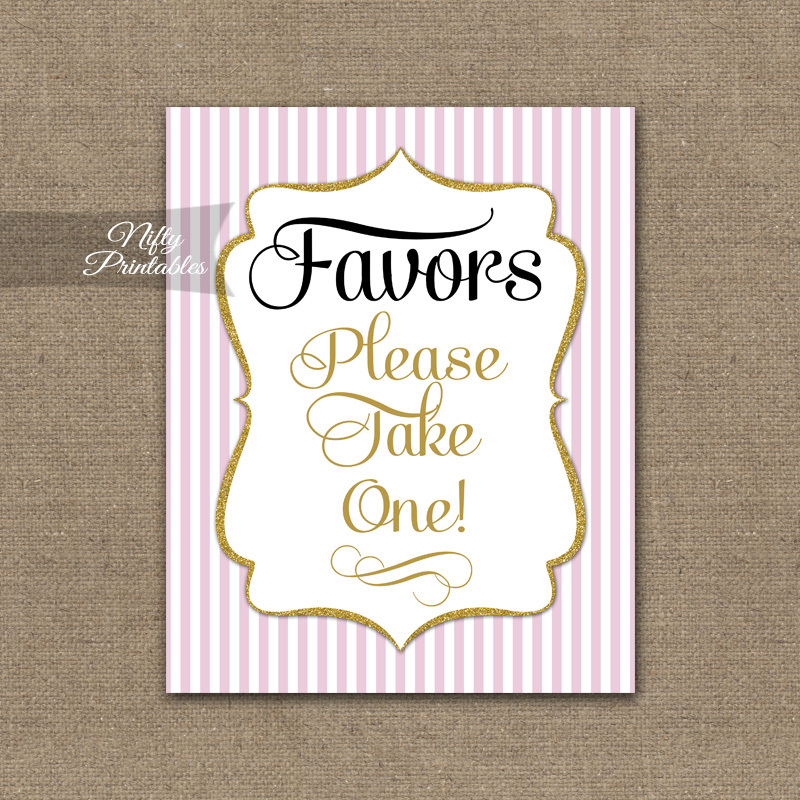 A printable “Favors, Please Take One” sign for your wedding, baby or bridal shower…or any event. 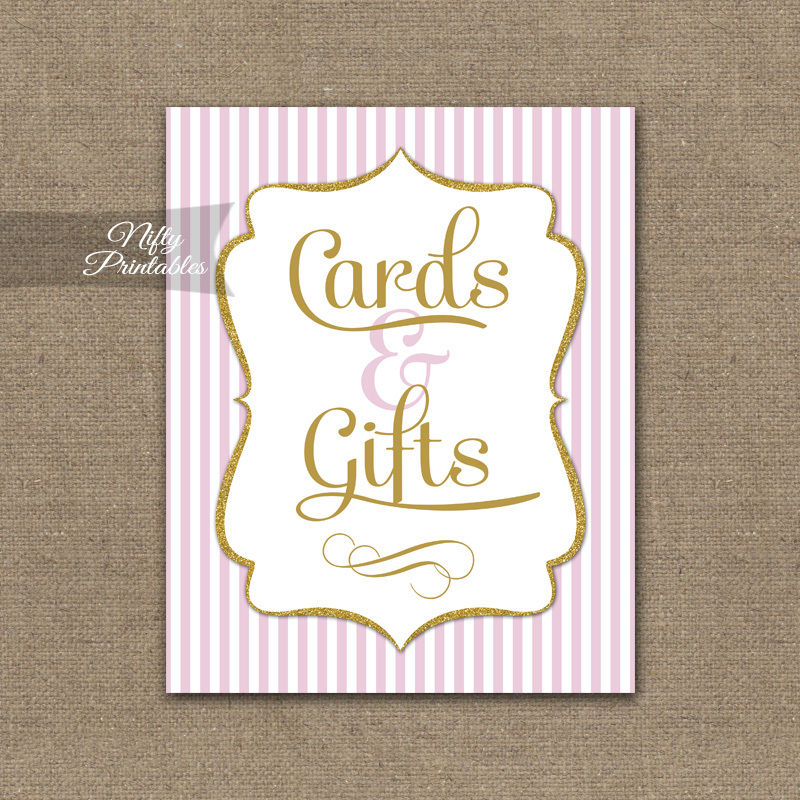 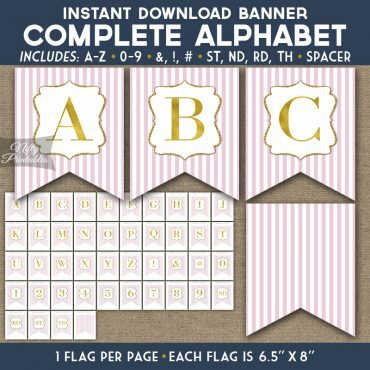 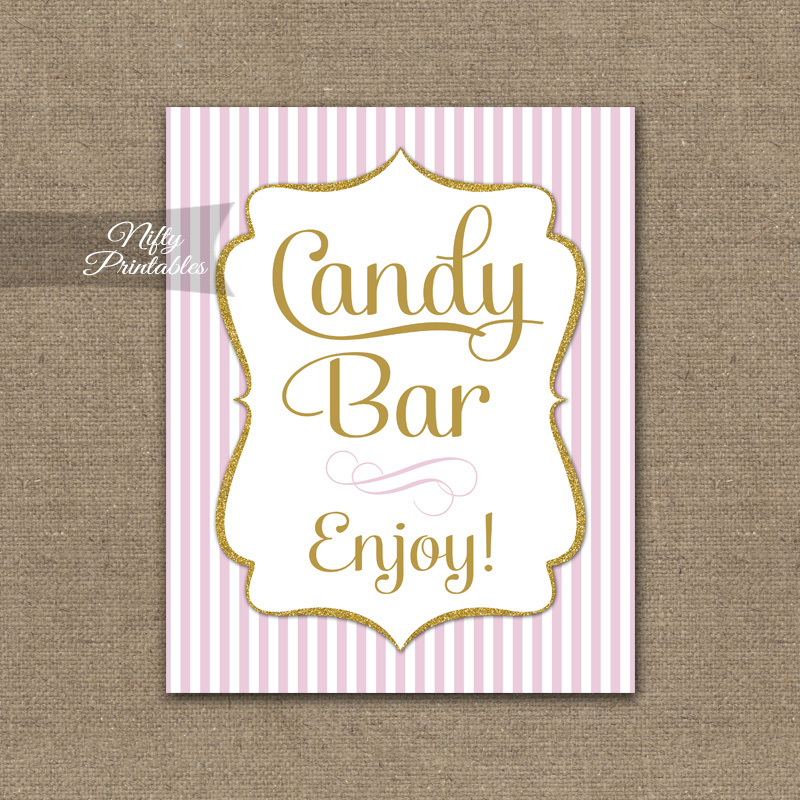 This one features pink and white stripes with gold glitter accent frame and gold text. 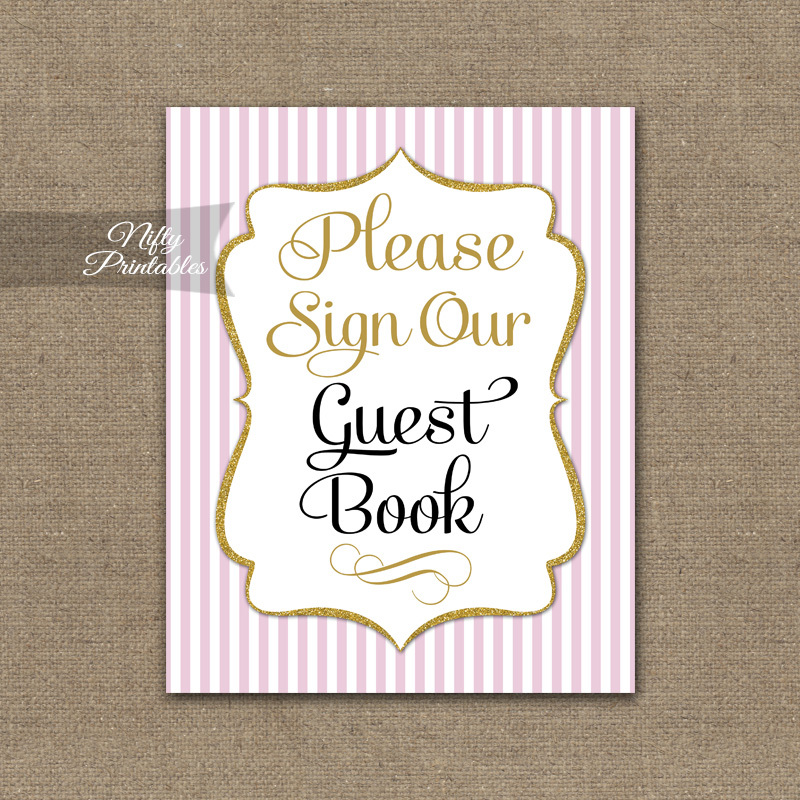 You Get: 1 PDF file (8" x 10") to print yourself or take to a printing facility.